At 13 he was a half-time worker for Charnock's Ropewalk. He was the sixth son in a family of 8 boys and two girls. He went on to work in Iredale's tobacco shop in Bridge Street and in the blacksmith's shop at Musgrave's Foundry. From there he went to Jackson's Wharf foundry and later worked for the architects, Hope & Gass, before finally taking a position with Bolton Workshop for the Blind. 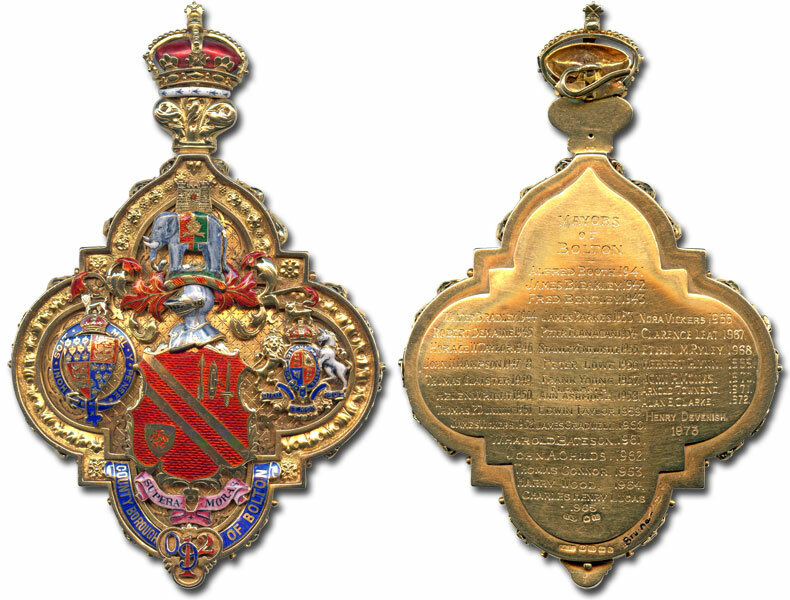 He joined the Gas Workers and General Labourers Union (later General and Municipal Workers Union) in 1915 and held several branch and district offices within the Union, including Chairman and Secretary. He was Chairman of Bolton Youth Committee June 1944, Vice Chairman of the Primary Education Sub-Committee. 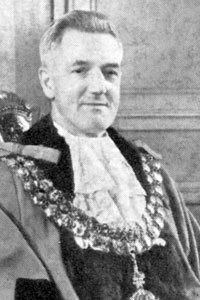 He sat on, and was later Chairman of, the Education Committee and was Vice Chairman of the Highways Committee. He once described the new zebra crossings for pedestrians as 'a foolish suggestion'. He served on the Transport Committee for 15 years and was on the Health Executive Council. He was President Bolton and District Trades Council three times and was their Treasurer for 15 years. In 1918 he was on the Trades Council Executive. 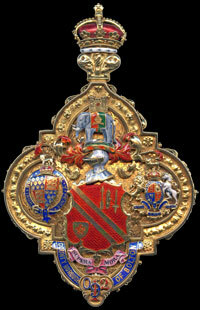 He was Chairman of the Borough Licensing Committee and awarded the TUC Silver Long Service award March 1964. He was a Governor at 7 different schools. He received the Queen and Duke of Edinburgh on their visit to Bolton in October 1954 and presented to the town a silver framed photo of the Queen to mark her visit during his term of office. He danced with actress Googie Withers at the Mayor's Ball and during his year as Mayor he also met Sir Jacob Epstein, Sir Thomas Beecham, Lady Isobel Barnett and Billy Butlin, who all visited the town. The Mayoral car was replaced by a new Rolls Royce in May 1955. In 1962, he became the centre of one of Bolton's bitterest political storms, when he refused to implement his party's policy as Chairman of the Education Committee. He was only re-elected as Chairman after being voted in by the combined votes of the other two parties. It is believed that he opposed Labour's policy for comprehensive schools. Labour resigned control of the Council and from Chairmanships of other Committees. The deadlock was only resolved after he resigned as Chairman of the Education Committee. His wife, Elizabeth Ellen, was Mayoress. 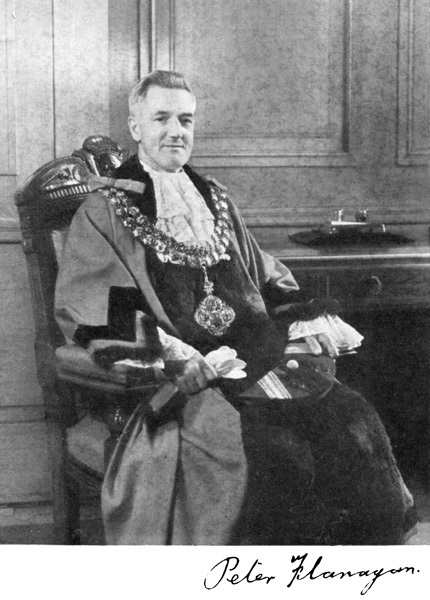 Formal portrait of Peter Flanagan as Mayor of Bolton. 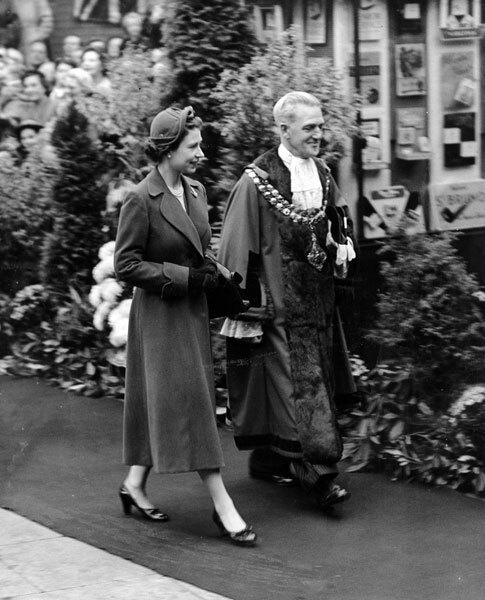 Peter Flanagan as Mayor of Bolton escorting the young Queen Elizabeth II on a Royal visit 1954. 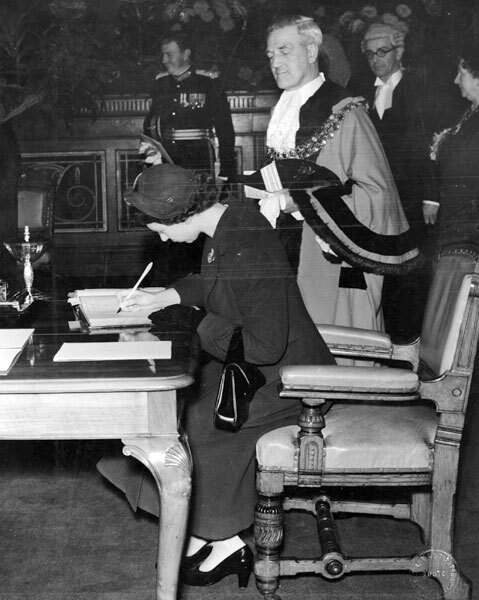 Peter Flanagan as Mayor of Bolton watching Queen Elizabeth II sign the Mayoral Visitors Book on a Royal visit 1954.